We Are AB & I, we take pride in building healthy and clean communities one pipe at a time, for your family and ours. We aspire to be a revolutionary company, leading and inspiring our team members, business partners, and community to create a cleaner and healthier world for future generations. You are a proven leader in the field of Safety, have over 5 years of experience in safety and with developing people in safety distinctions. You pride yourself on your ability to grow your Safety team and bring them into alignment with world-class safety behavior. You stimulate enthusiasm amongst team members and inspire people to do the right thing. You have built your career on being responsible for providing Team Members with a place of employment that is free of recognized hazards. You bring people together to ensure site implementation of Corporate Safety Procedures as well as develop processes and work instructions that ensure buy in and compliance with OSHA/CAL-OSHA regulations. We are offer excellent medical and dental insurance, 401k, as well as a variety of benefits such as lunches once a month, profit sharing, company picnic, gym membership reimbursement, and an opportunity to work with a diverse and knowledgeable group of committed people. You look forward to championing improvements that ensure a safe work environment. You utilize your balanced decision-making, and need to harmonize people with process with the passion to develop better methods, new approaches and cutting edge solutions that keep people safe and shape how people operate in and around safety. 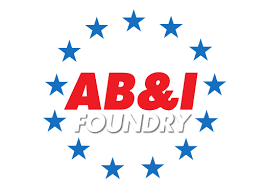 AB&I Foundry, a manufacturer of pipe and fittings is accepting applications for the Safety Manager in Oakland, CA. Under general direction of the Compliance Manager, establishes and directs the company's safety program. Directs, supervises and administers the company's safety program which involves formulating, writing and auditing safety practices, policies and measures for each work unit. Determines proper safety equipment to be worn on all work units. Conducts studies, audits, maintains records and investigates/analyzes accident causes and health hazards and makes recommendations on corrections. Participates in conducting plant inspections to detect potential accident and health hazards and follows up on proper correction. Responsible for the preparation and direction of team members' safety meetings. Work with Engineering on all projects to ensure safety standards are developed into plans from conception. Attend engineering project meetings to review and approve project plans as applicable. Develop and implement electronic Management of Change for all projects and track action items to closure. Mange Contractor Safety Program to ensure all contractors meet Company guidelines and assist contracts in gaining ISN approval or completing facility approval when required. Develop and implement Industrial Hygiene Sampling plan and ensure plan is conducted as required. Analyze data to ensure exposures are controlled or develop plan to eliminate or reduce exposures. Responsible for implementation of OSHA Standards and Directives, and keeping up-to-date with these and other standards & organizations, that applies or OSHA may reference. Represents the company with OSHA audits, fines, & corrective actions. Responsible for establishing and maintain records and reports required by the Occupational Safety and Health Act. Initiates safety practices and programs to conform to OSHA requirements and follows up to see they are carried out. Update and maintain WEB based documents per Corporate requirements including Medgate and SharePoint. Reports on KPI's to local & Corporate Management. Responsible for implementing and updating Company Best Practices. Maintains Safety Manual, reviews work instructions, participates in Job Safety Analyses, Assists Compliance Manager & HR with Safety Discipline/Retraining/Counseling issues. Views and maintains Safety Training videos. Conducts salaried and hourly safety training orientation. Assists with various other assignments as required. Safety programs. Certified Safety Professional Certification (CSP) required. Over 5 years of hands-on, health and safety experience in a manufacturing plant environment or related field. Experience managing people. Proficiency with Microsoft Office programs is required. Ability to communicate with employees at all levels, and excellent written and verbal skills are required. Knowledge of federal/state/local safety and Workers' Compensation regulations is required. Wide variety of duties involving general knowledge of company policies and procedures. Must use considerable judgment in recommending Industrial Safety programs and in establishing safety rules and regulations. Must analyze new equipment in regard to safety. To follow all EHS guidelines and applicable procedures. Under general direction of the Compliance Manager works with policies and general objectives. Rarely refers specific cases to superior unless clarification or interpretation of company policies is involved. Outside and inside contacts with all levels of people and government agencies which requires high degree of judgment and diplomacy. These matters often require a well-developed sense of strategy and timing. Looks for opportunity to get employees involved in safety, environmental, process changes and overall improvement efforts. Regularly works with confidential data concerning safety and accident programs. Works with a variety of records and reports that are considered confidential. General supervision of the safety department involving responsibility for results in terms of cost, methods and personnel. Supervises 2 or more team members. Manages staff, including providing coaching and training, setting goals, evaluating performance, planning staff assignments and development, and making and approving people management decisions (e.g. recruitment, promotions, terminations, and salary changes). This position involves routine exposure to moving mechanical parts, fumes or airborne particles, outside weather conditions, extreme heat/cold, wet and/or humid conditions, toxic or caustic chemicals, vibration and high noise level may be possible. While performing the duties of this job, the employee is frequently required to sit, talk and hear. The employee is routinely required to stand, walk, climb or balance, stoop, kneel, crouch or crawl. The employee may occasionally lift and/or move up to 25 pounds. Job may change over time in accordance with business needs. Job description does not guarantee employment.